St George Cabs was first formed as a Co-operative on 7th September 1954 as Sydney Two-Way Radio Cabs Co-operative Limited and on 19th November 1954 changed its name to St George Two-Way radio cabs Co-operative Limited. The Co-operative had a further change of name to its present identity of St George Cabs Co-operative Limited in 1977. St George Cabs grew slowly from its incorporation in 1954 with local hire cars converting to taxis and joining the new St George Network to form the basis of today’s fleet. Our fleet comprises of vehicles ranging from the latest model fuel efficient hybrid sedans to station wagons for extra luggage, Diamond luxury vehicles, Maxi taxis for group bookings and specially fitted wheelchair accessible taxis for the disabled. Our first taxi base and radio room was located on the corner of Stoney Creek Road and Highworth Street in Bexley. The operation commenced with 4 telephones. 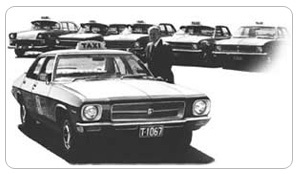 In their first year St George Cabs carried 50,000 passengers. 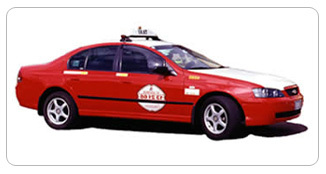 Today St George Cabs performs over twice that number of hirings each month. In July 1959 the Co-operative moved to a new premises on the corner of Forest Rd and Mimosa Street Bexley where a modern base, including radio room, administration offices and taxi service and refuelling operations were incorporated on a single site. 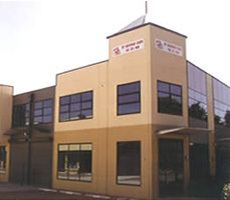 The St George Cabs Base was relocated to Peakhurst in July 1981 and this became home for 10 years until the base was relocated to a second location in Peakhurst in 1991. In 2003, St George Cabs purchased a property in Vanessa St Kingsgrove for its Administration Office and this is what we now call home.